Rosebank College partnered with Lego Education to take innovative learning and student development to the next level. 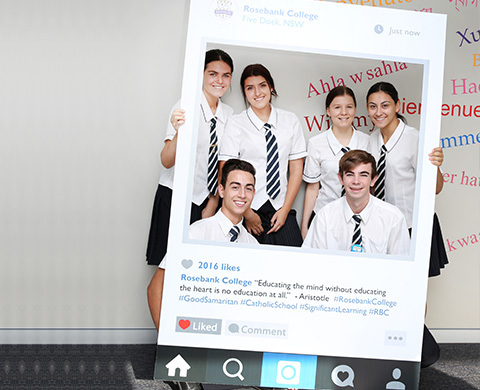 Year 12 students took on the exciting task of organising a teacher’s conference, creatively named ‘Building Blocks’. Students were involved in all aspects of creating the event, from procuring guest speakers, and organising catering, to developing pamphlets, and writing press releases. Mr Jake Plaskett, Co-ordinator of Innovation and Learning at Rosebank College, explains that “the point of this conference is to put students in the driver’s seat and help them gain independence.” Mr Plaskett highlights that “many teachers underestimate student’s ability to inform teaching and learning”. The two-day conference, focused on emerging pedagogies, such as flipped learning and Project-Based Learning; levering technology to deepen learning; and using flexible spaces, to engage students in the digital age.